is Evolve available in Canada? Is the Blackberry evolve available in Canada? And will it work on their carriers such as Rogers or Telus? And will it get updates from Blackberry? and for how long and often? Any good legitimate places to buy it from? I don't know much about it, is it good/better then motion? The Evolve has VERY limited carrier frequency support in Canada. Last edited by conite; 01-09-19 at 12:34 PM. Thank you for your interest. It works with all Canadian carriers except Freedom mobile. вт, 8 янв. 2019 г. в 20:32, PDAPlaza Canada "
You can use gsamrena for reference. 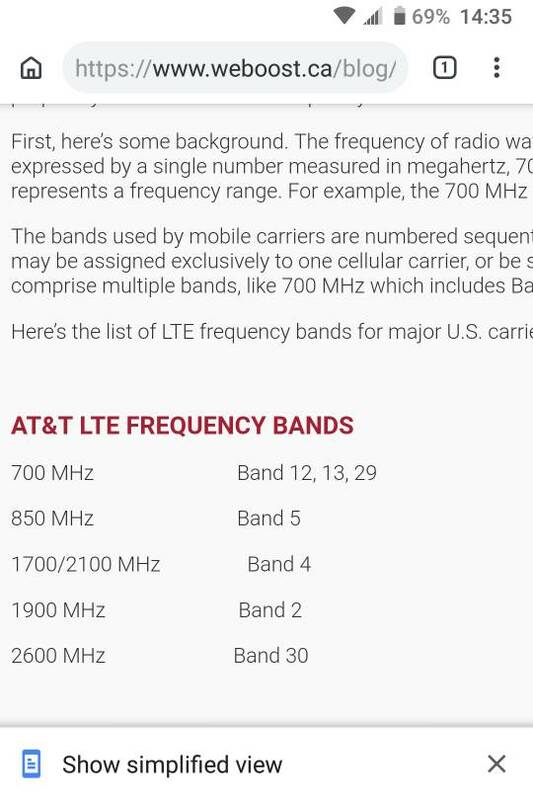 LTE Bands supported in the Evolve are 1, 3, 5, 7, 8, 40 and 41. 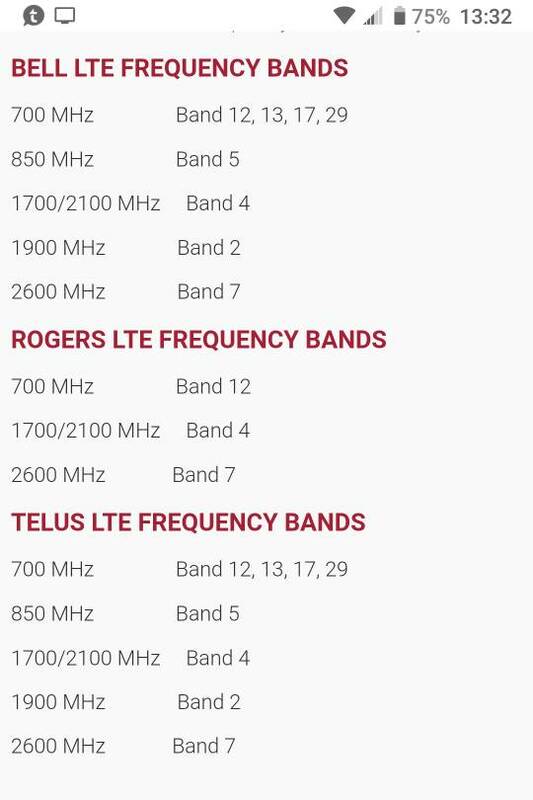 There are some canadian carriers that will support those bands, such as Bell Mobility, Kodoo, Mobilcity, MTS,NorthernTel, Rogers and Telus, to name a few. If in doubt, call your carrier and ask them. in answer to where ....technically you can get it via Amazon India ....and then at an inflated price from anywhere else that has decided to carry it . I think Darkusama's advice to check with your carrier is probably the way to go. You can check the bands available for the Evolve on gsmarena.com. Updates . I am based in the UK and received the latest update. Both the Motion and Evolve are great devices. they both have mega batteries, fingerprint scanners etc. Motion is waterproof (ip67) whereas Evolve isn't . Evolve camera is better than the Motion. it really comes down to personal choice , price and whether you potentially have no after market support for the Evolve as it's licensed for the Indian market primarily. 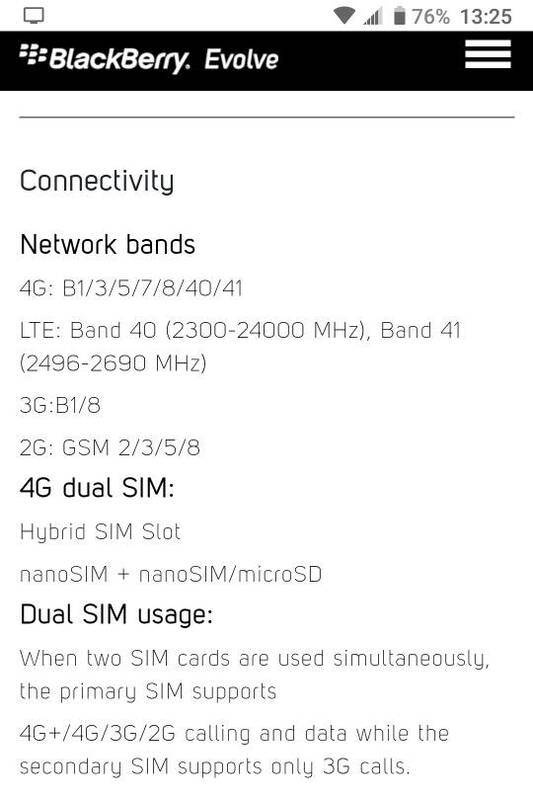 The Evolve has no North American LTE bands (or even 3G for that matter). Supports 1 out of 3 Rogers bands. conite and Elky64 like this. Does this work on att? I guess I'll have to pass, sounds like it will kinda work but not great... I'm not sure what full screen phone to get next, the motion is $599 on Amazon.ca but I think it will only get one more year of security updates, so that stinks... Anyone seen it for cheaper in Canada elsewhere... is BlackBerry going to come out with another full screen soon? BlackBerry Mobile has committed to 3 years from launch. You could also pick up a more affordable Nokia 6.1 and subscribe to the BlackBerry app suite. It's under $400 cdn. Or you could just accept that the Motion is a great device and buy it despite the price tag !! What month and year? Thanks. The Blackberry suite is dtec security app apart of that too? Or is that only on Blackberry phones? And how much is that? DTEK is deeply integrated into BlackBerry Android, so no, it's not part of the suite. Neither is the keyboard. It says motion came out in November 2017 in Canada so I guess it ends support November 2020... so two months shy of 2 more years looks like. Have you ever seen it on sale for less anywhere? Limited supply has kept the price supported and lessened the need for any discounting. I heard adding a ball of tinfoil to your head helps. I have a used Motion that can't be updated. I'm OK with it as the phone is fabulous. But if I could find a new one at a reasonable price I would buy it. Amazon's prices are too high. Third party sellers. Too bad about the Evolve. Why can't it be updated... that's not normal is it? Thanks, Conite. I got it as a trade. Previous owner couldn't find an autoloader for it, and I don't have a clue. I knew it upfront, but wanted to try the Motion and use it as a backup phone. Instead, I fell in love with it and now it's my primary phone. Dtek60 is my backup. How do I share pictures on my WhatsApp, and why is my BlackBerry not able to have Xender?